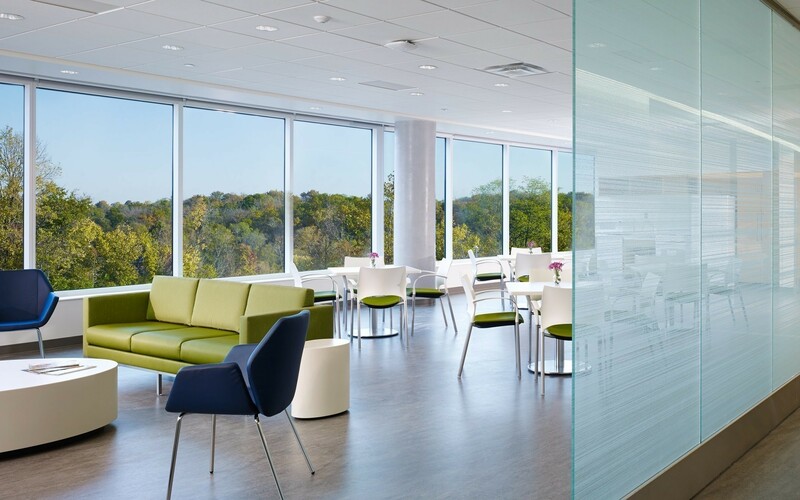 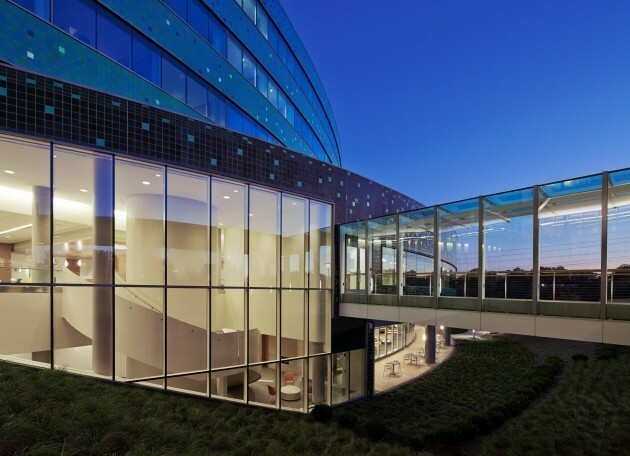 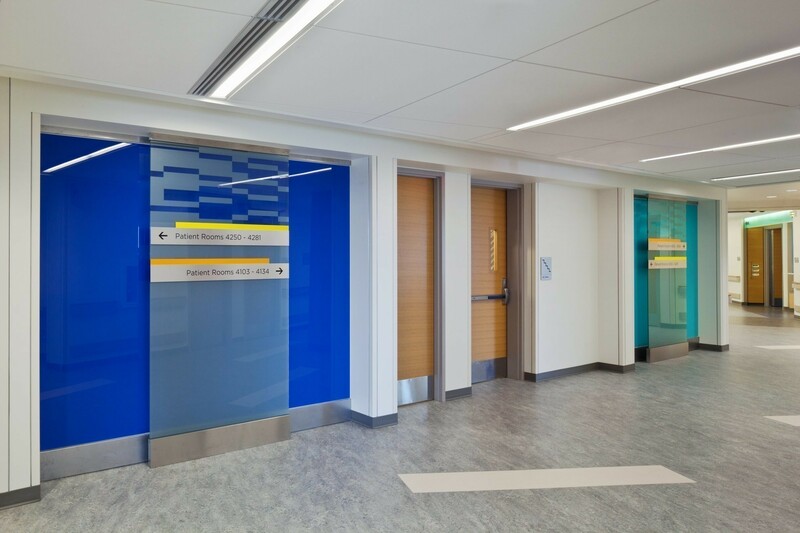 Truly collaborative design process produces exceptional, progressive new West Hospital for Mercy Health. 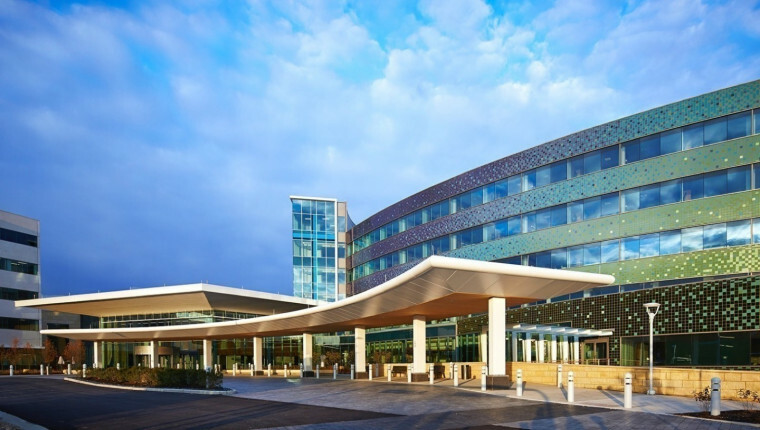 Mercy Health — West Hospital is an extraordinary place for the delivery of healthcare, and not just because of its uplifting, colorful glazed brick exterior. 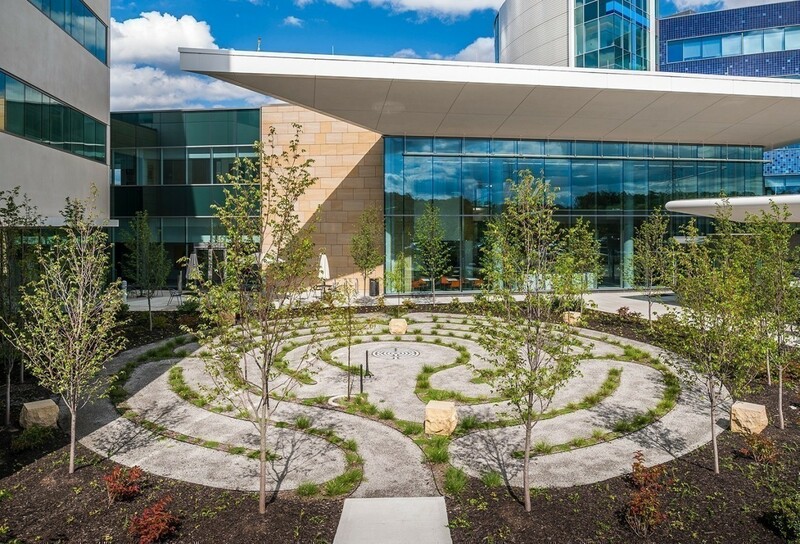 The consideration given to all aspects of the patient, family, and staff experience set this hospital apart, and contribute in a very real way to the difference Mercy Health makes for their patients and community. 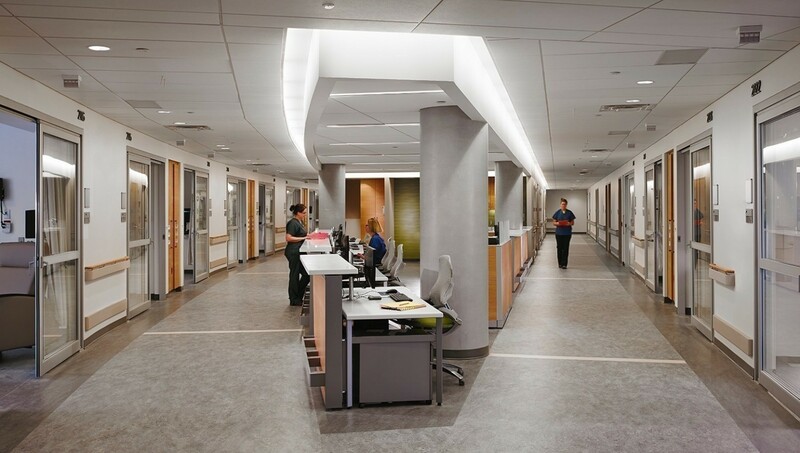 West Hospital is a new, $185m, 250-bed community medical center on a greenfield site, designed to consolidate and replace two aging facilities. Key services include a heart center, cancer center, family birth center, women’s center, and comprehensive orthopedics program. 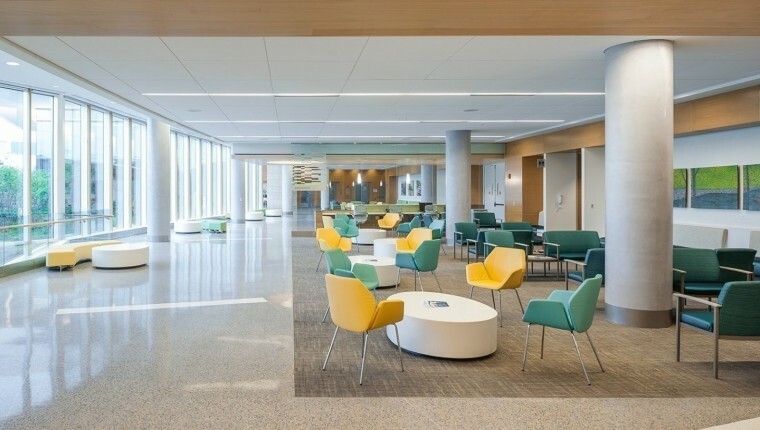 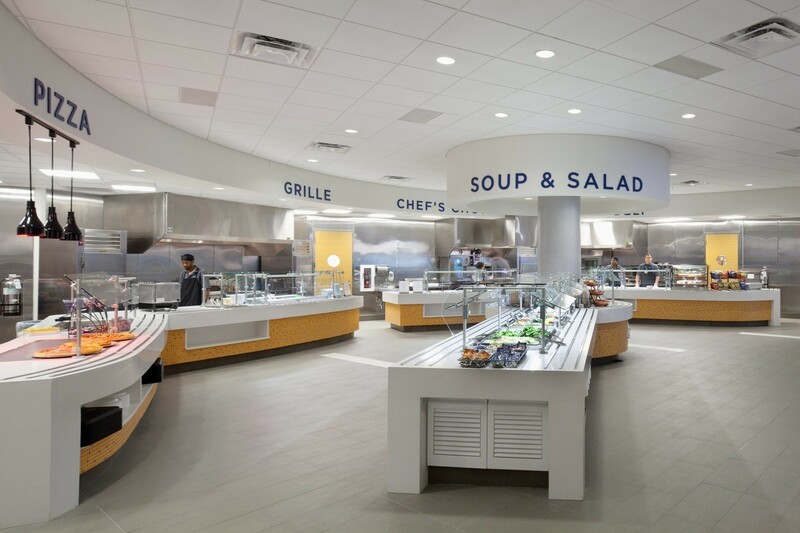 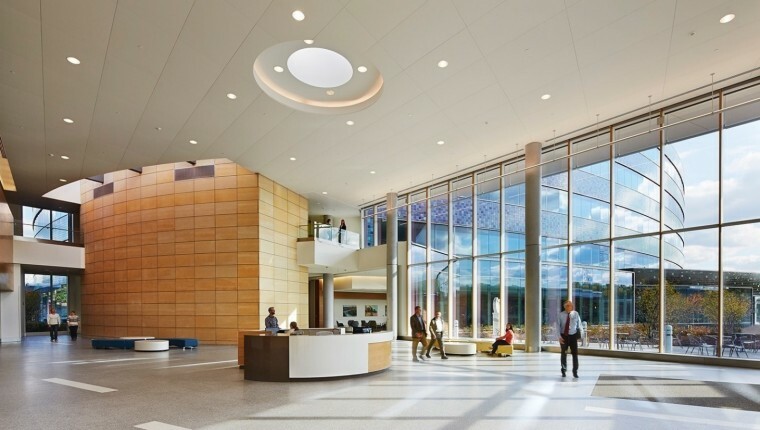 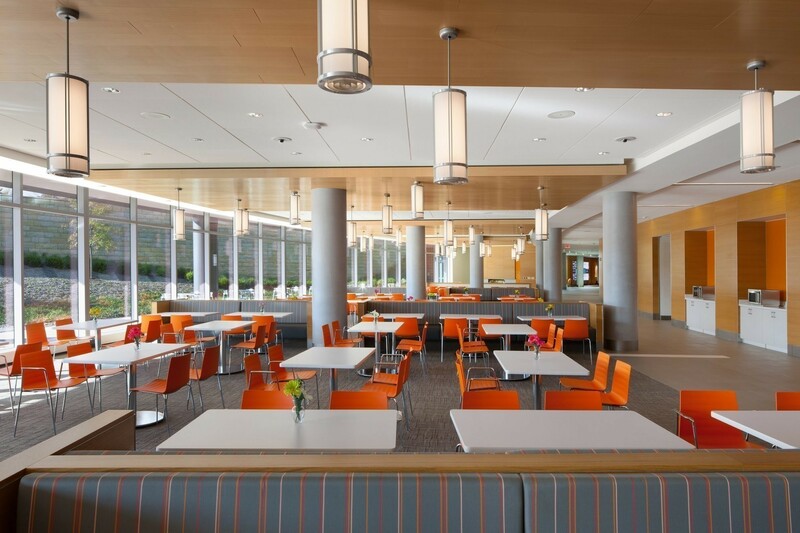 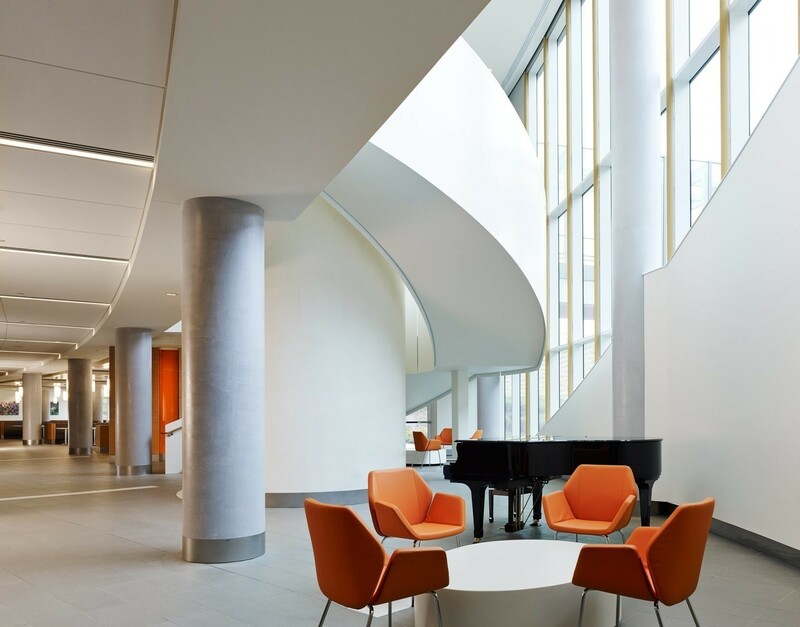 Connections to the community and context were primary drivers in the design of the 645,000 sf hospital — its functionality, integration into its surroundings, form and design expression. 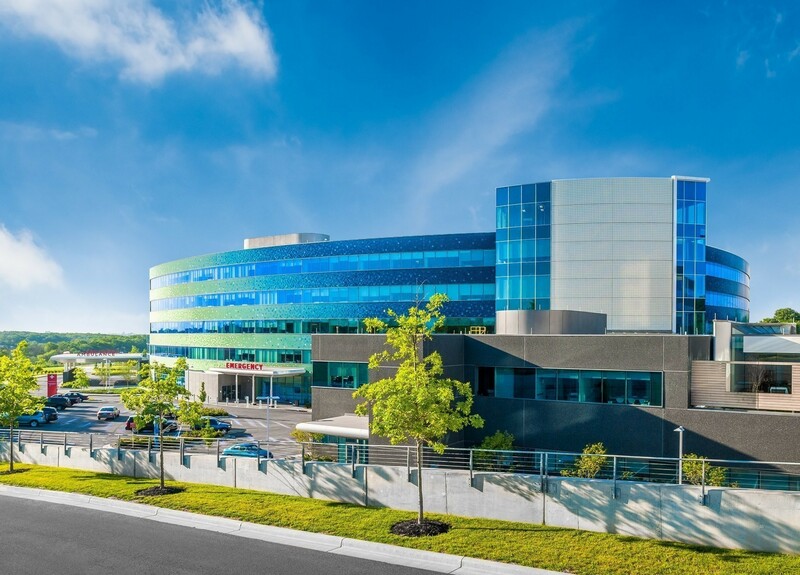 The building footprint is large because of Mercy’s desire to co-locate the emergency department, imaging, and surgery on a single floor. 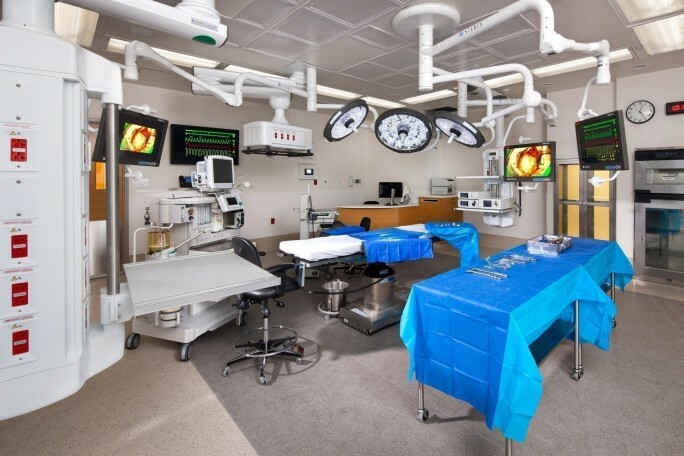 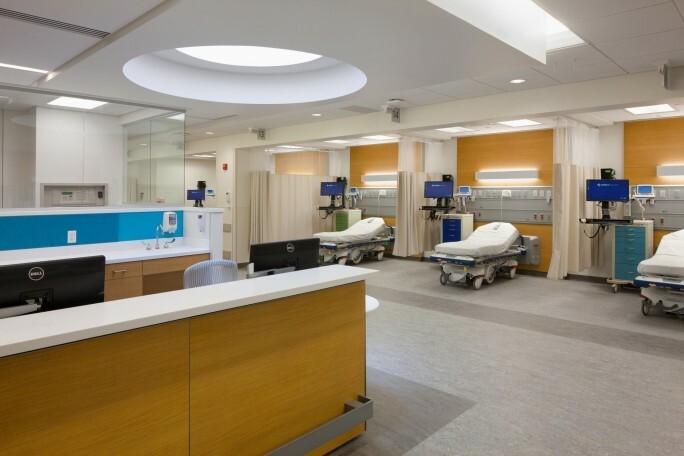 Two four-story bed towers (expandable by two additional stories), sit atop the three-story diagnostic and treatment base, which is punctuated with skylights admitting natural light to team work stations and staff corridors. The D&T base’s entire roof is covered by native plantings; at 2.5 acres, this is the largest green roof in the state of Ohio. 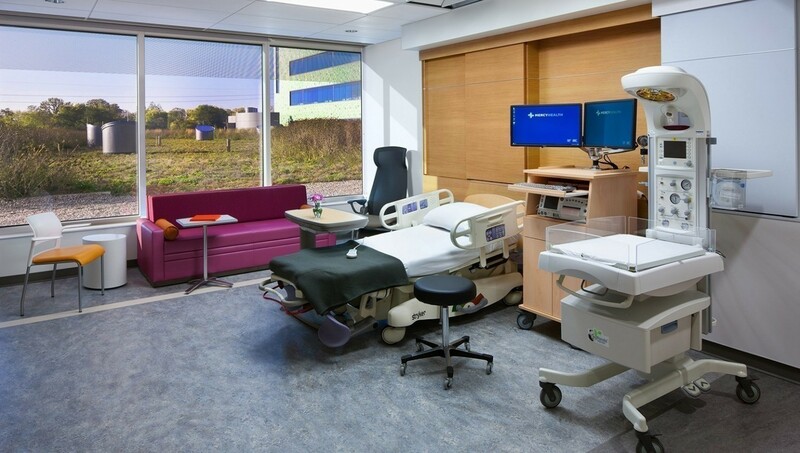 Optimizing the configuration of the patient suite was a high priority, with the location of and access to the toilet room and all supporting components developed to maximize patient safety and reduce the potential for falls. 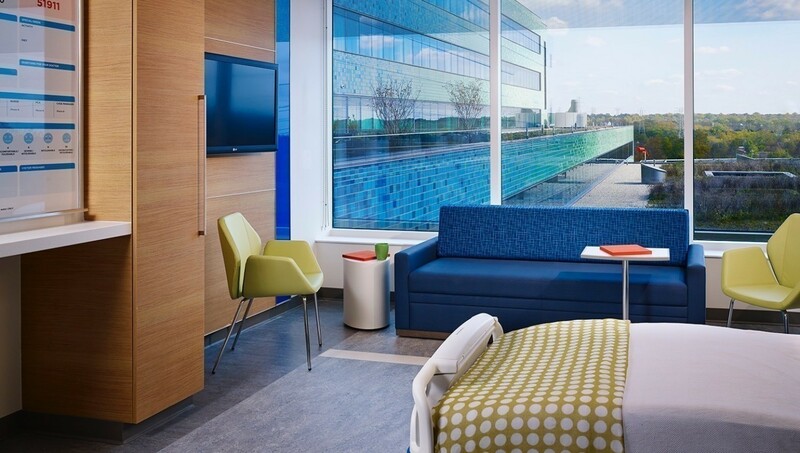 So that families can participate in the healing process, their zone includes a sleeper sofa and desk, with separate lighting that won’t disturb the patient. Inboard toilets afforded the opportunity for 7-foot-high windows with a low sill height to span the entire width of the patient room, maximizing daylight and offering unobstructed bucolic views. The building design makes a strong visual statement that endows the new hospital with a progressive presence unique within its suburban community. 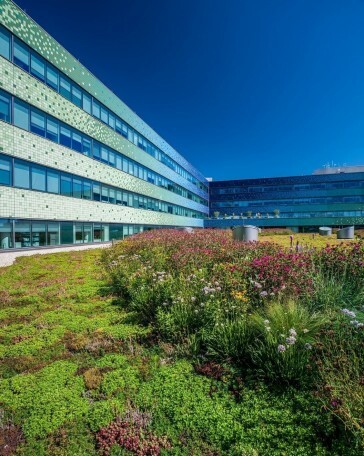 Viewed in the context of sky and landscape, the architecture exhibits a restorative dynamic, with the green-to-blue color palette inspired by nature. The material, glazed brick, is a reference to Cincinnati’s cultural history as a nexus for glazed art pottery production. 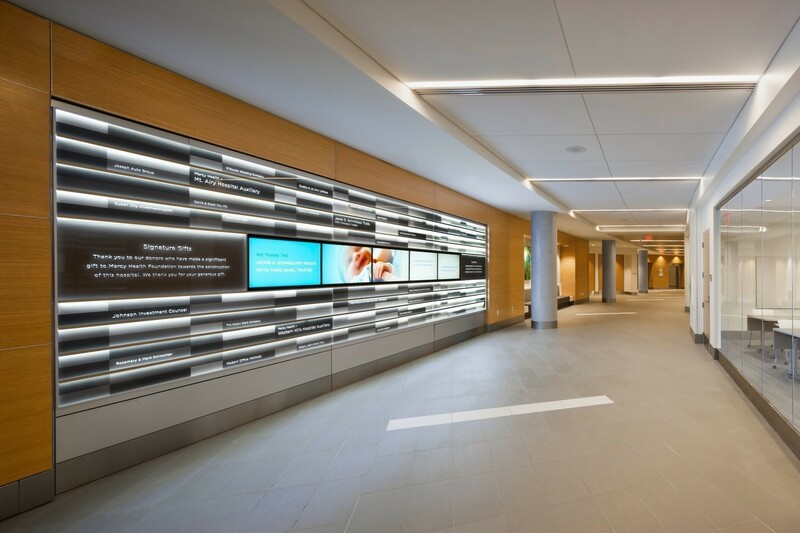 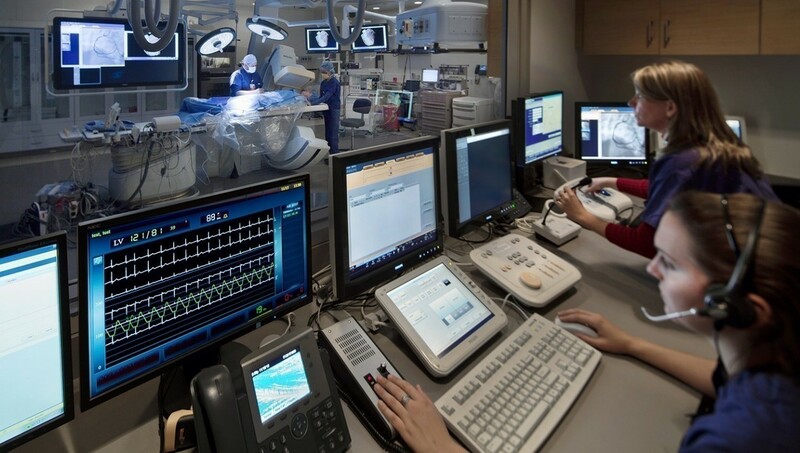 And the pixelated quality of the facades speaks to technology and its tangible impact on healthcare today. 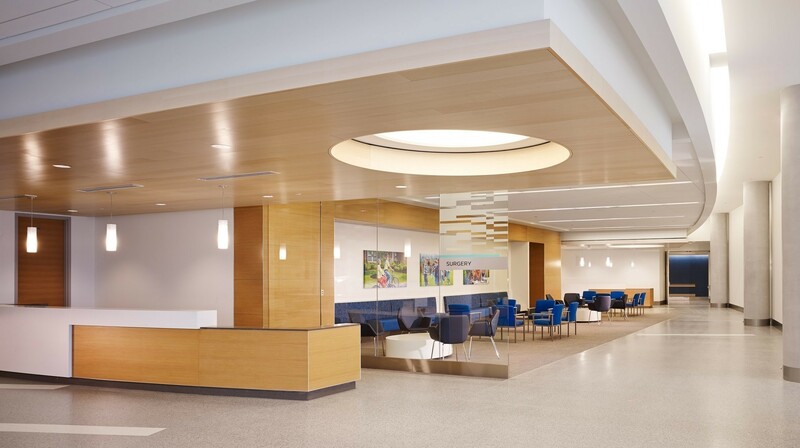 So well received, this visual gradation has been co-opted as a branding element — subsequently applied to other area Mercy facilities to reinforce the corporate identity that signifies Mercy Health. 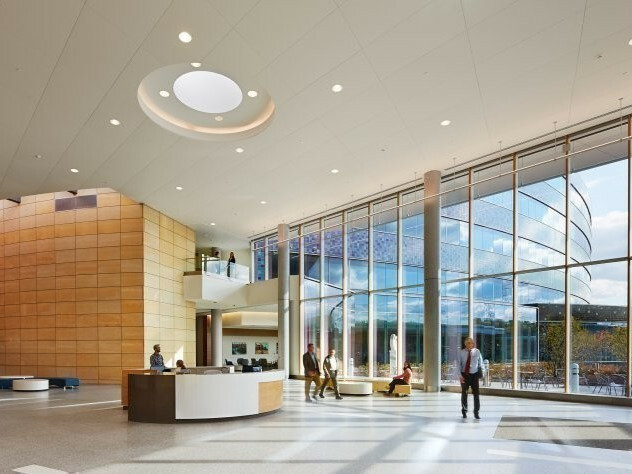 Champlin Architecture is the Architect of Record, with AECOM as Design Architect. Click here to view the extensive awards, recognition, and publications spotlighting the design excellence of this project.